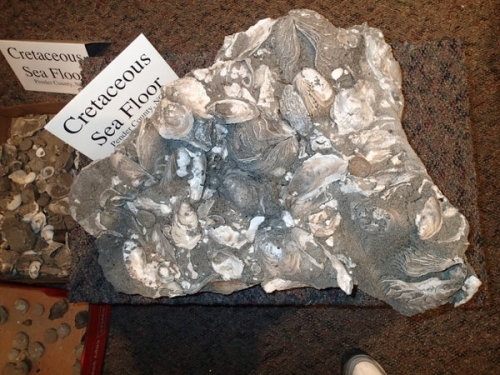 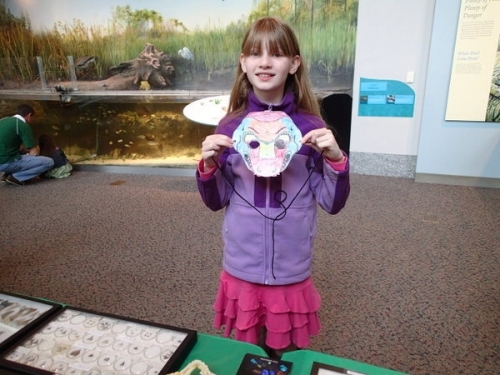 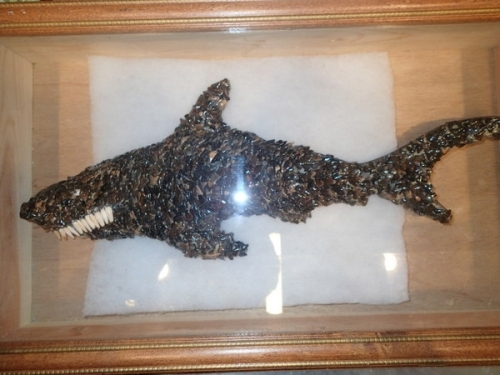 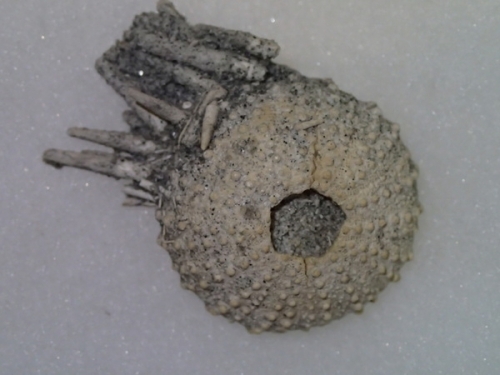 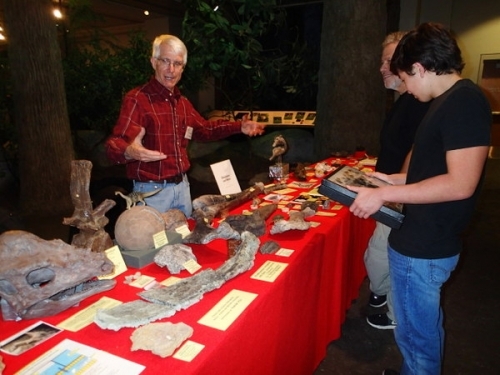 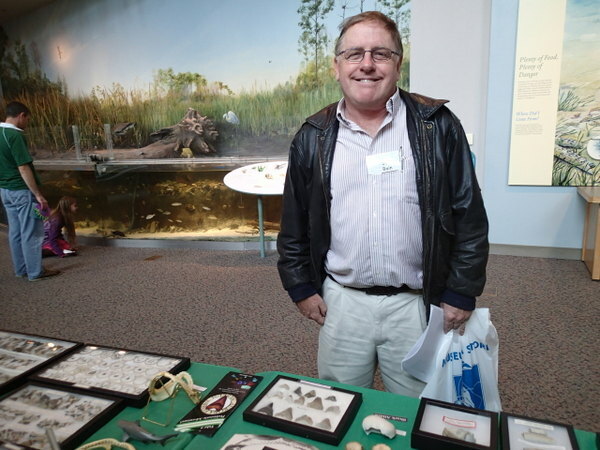 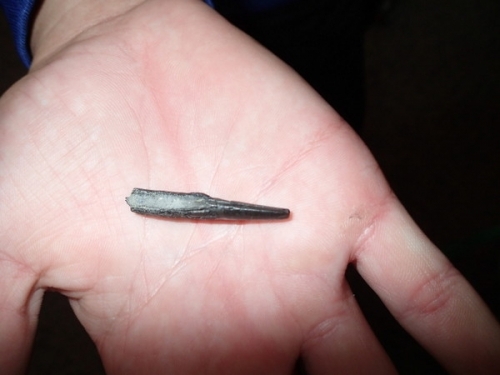 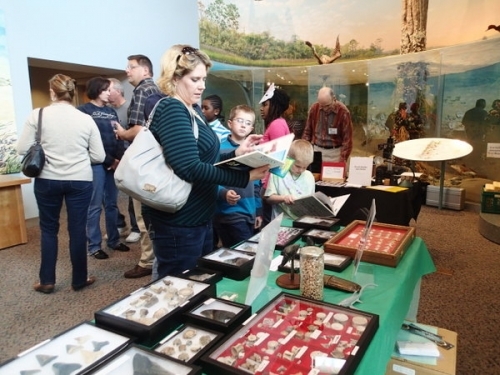 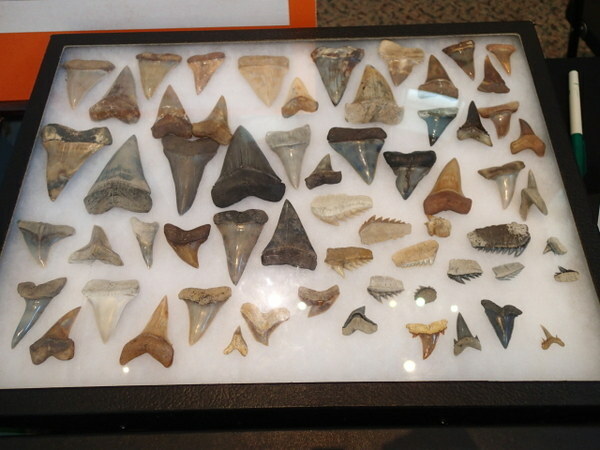 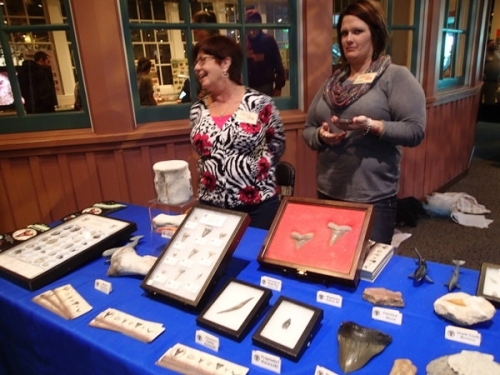 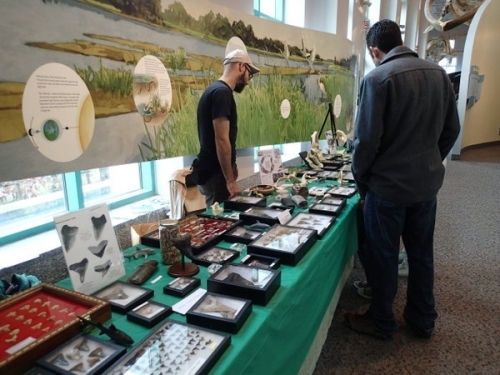 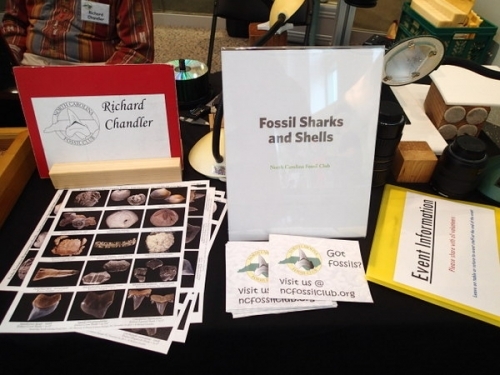 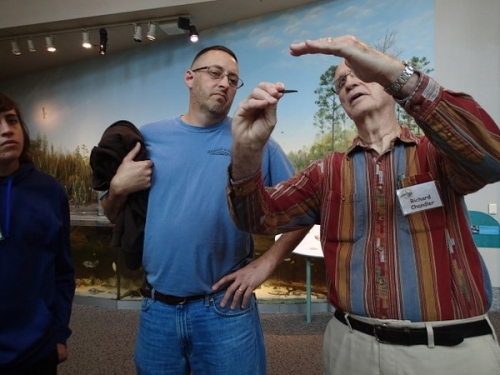 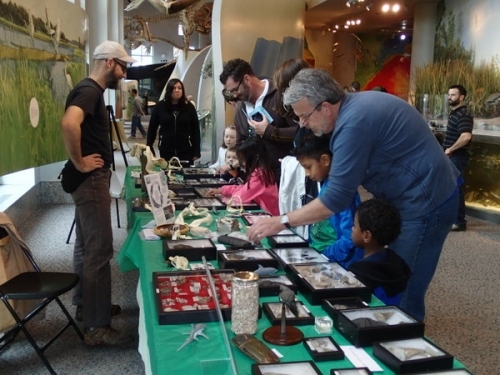 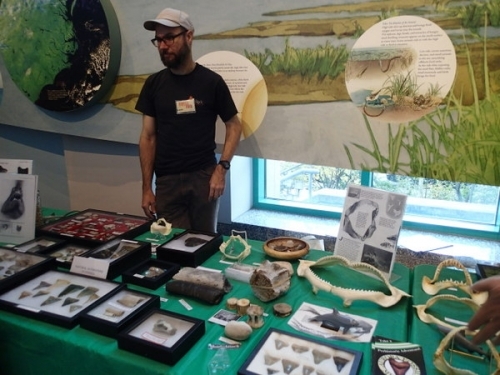 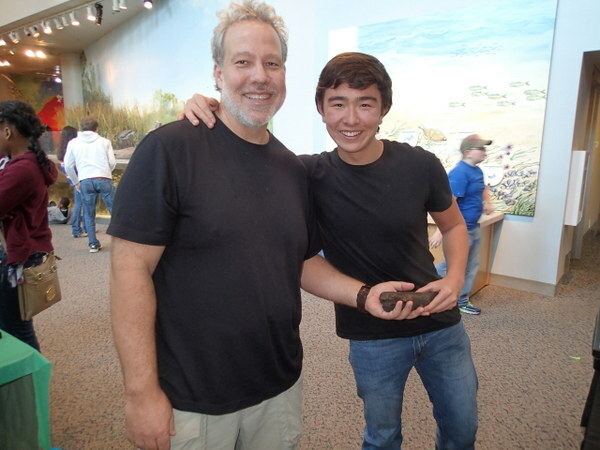 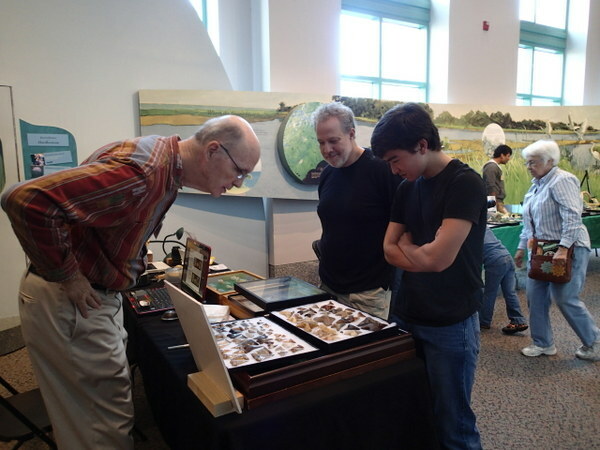 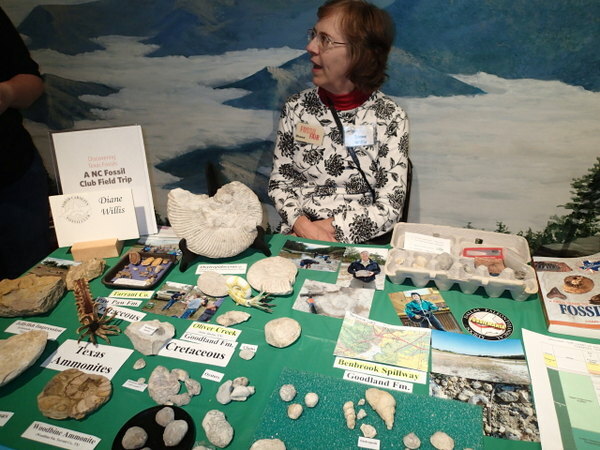 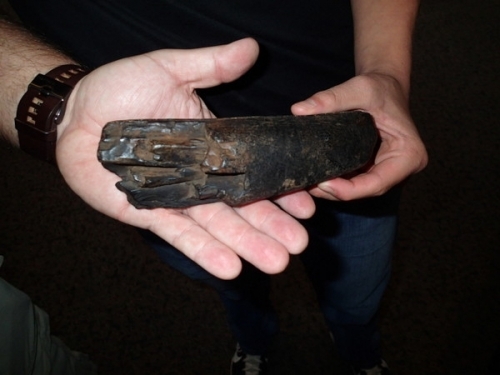 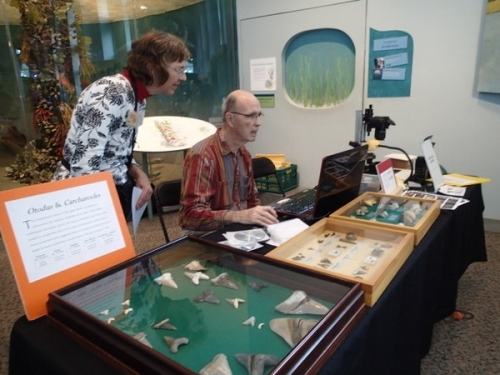 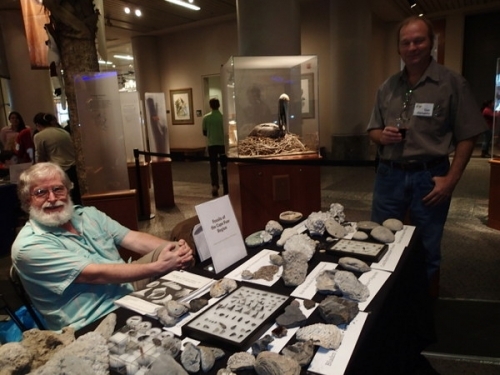 The 2013 NC Fossil Fair was held at the North Carolina Museum of Natural Sciences in Raleigh. 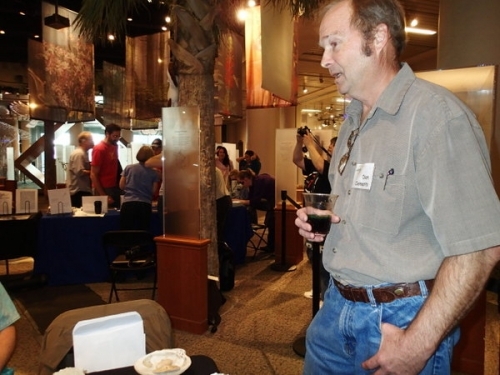 The Fair drew just under 6,000 attendees (up about 4,000 from their normal Saturday of about 2,000.) 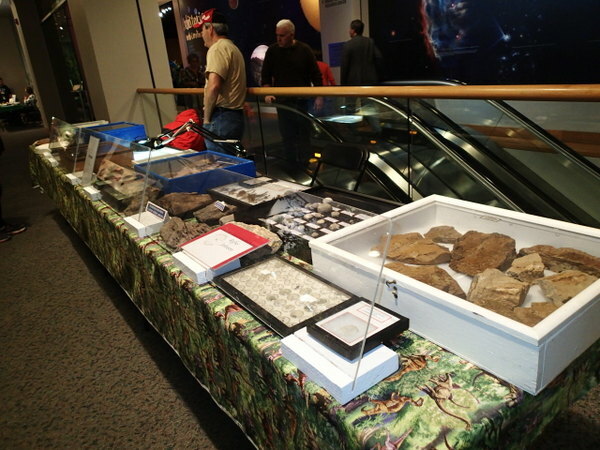 It is our largest outreach event of the year. 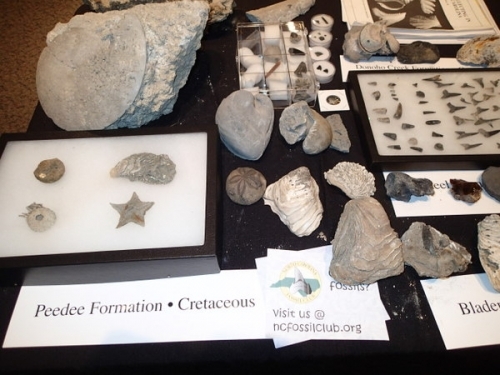 Our membership table was right near the front entrance and stayed busy throughout the day. 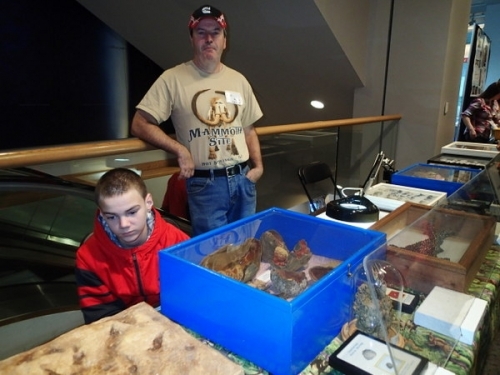 The rest of us were located throughout both buildings on all floors with only the third floor in the new building not getting steady traffic. 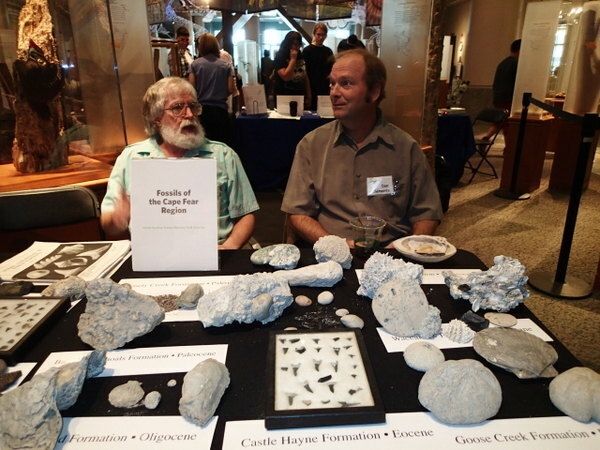 The rest of us were hoarse by days end from all the talking we did. 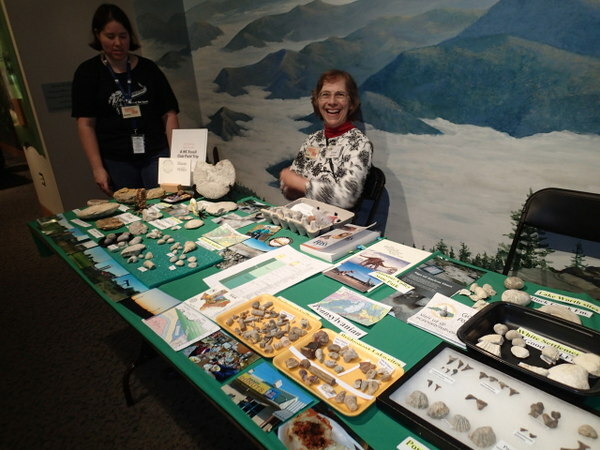 The museum staff were very helpful with set-up, tear-down, and spelling our folks for breaks. The hospitality section (food & drink) was great and plentiful and made the day easier. 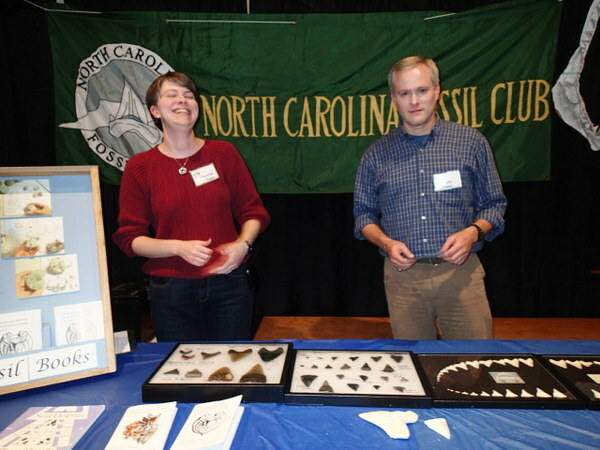 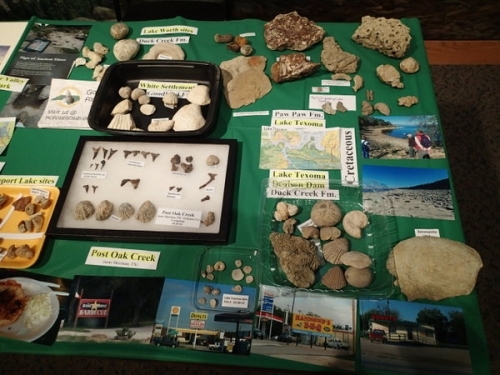 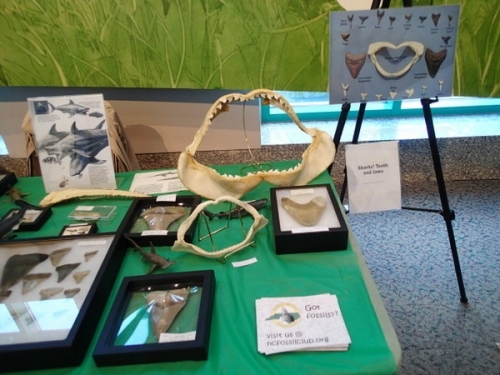 The Fossil Fair at Raleigh has grown exponentially since we last held it there in 2010, with NCFC folks accounted for only 14 out of the 35 total exhibits (with a few of ours going under a different name). Several other universities and museums had exhibits as well. 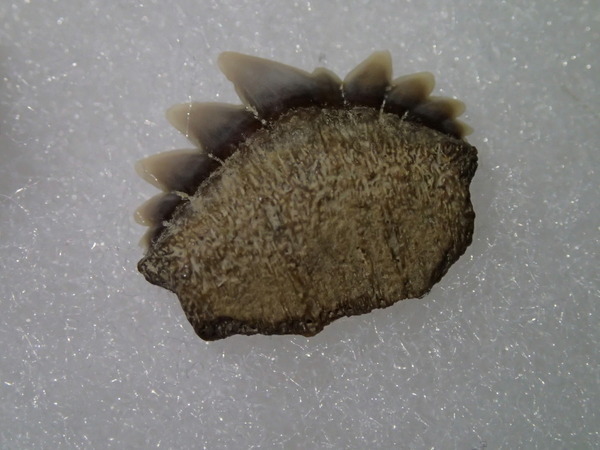 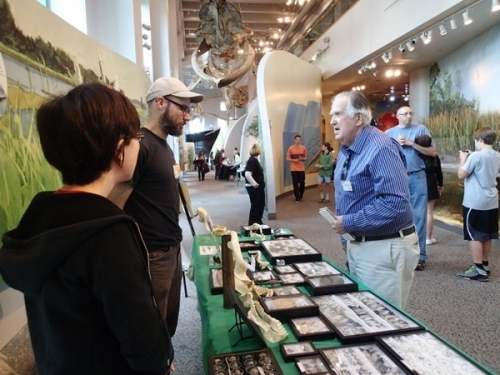 The days speakers included folks like Mary Higby Schweitzer (of dino DNA fame), Dr. Daniel Ksepka, Dr. Lindsay Zanno, Johnny Waters and Dr. Gregg Gunnell with talks ranging from blastoids to fossil primates. 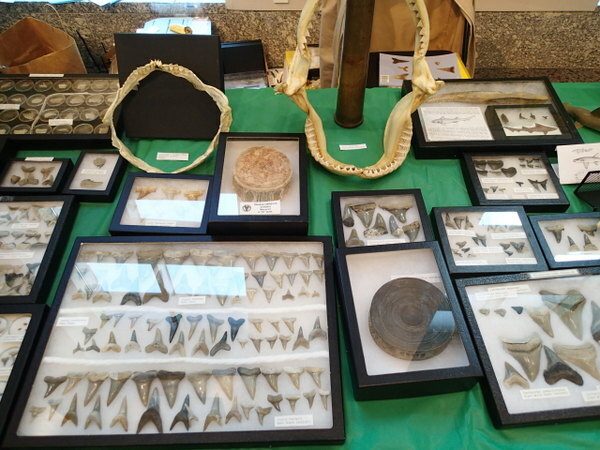 There was something for everyone. At the close of the event the tired but happy NCFC folks gathered together and had their annual meeting to elect officers for the upcoming year. 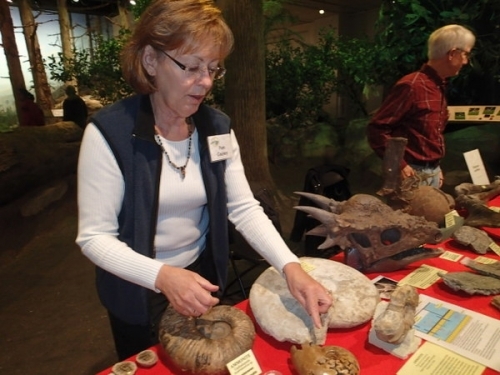 Results: President: Linda McCall, Vice President: James Bain, new board members: Joy Harrington, Ruffin Tucker, Gustavo Pierangelini and Diane Willis. 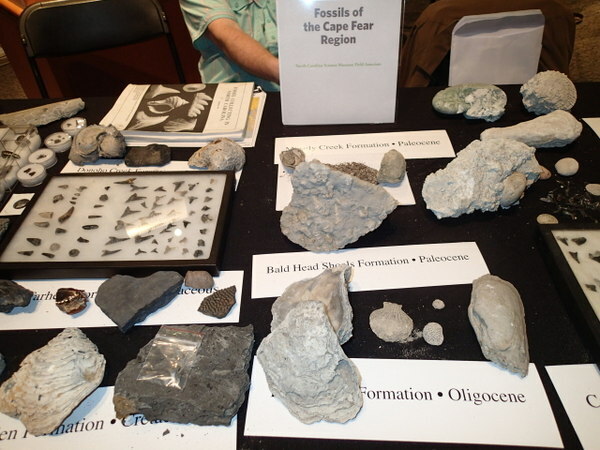 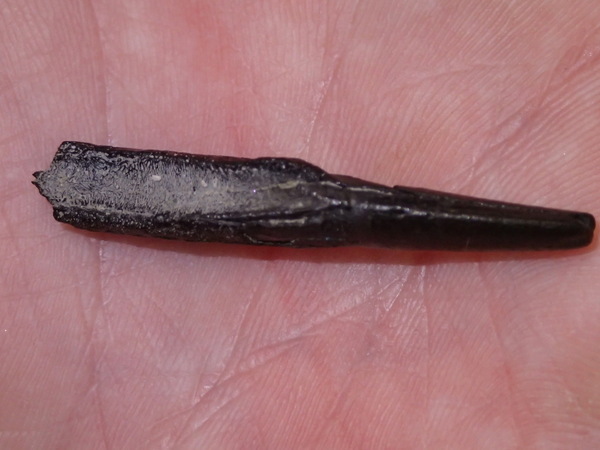 So ended another wonderful Fossil Fair.